Strength, mobility, and ease through barre and foam rolling myofascial release classes. We are so proud to offer up the instruction of our talented, charismatic and soulful team. We find writing bio's of ourselves pretty awkward, so we decided we'd write each other's. Enjoy! Tam is one of the most laid back and relatable individuals you will ever meet. She teaches with incredible intention, treats her peers warmly and creates a supportive learning environment for all levels of ability. As a former high school teacher, her attention to detail and capacity for clear communication at the barre is unmatched. She is truly excellent at adapting her class to everyone taking it. Barre is not just a form of fitness for Tam; barre is in her bones. She spent her upbringing studying ballet as if it were her second, or maybe even first language. It is that foundation in the type of movement Remedy is based on that translates into an authentic and truly credible experience. Maggie embodies a unique combination of confidence and ease. She brings these qualities into her teaching and blends them with a deep reserve of creativity and expertise. You will never take the same class twice from Maggie, and you will always leave feeling more spacious and supported from inside. From her delicious metaphors, luscious flow, and challenging sequences, Maggie is a natural teacher who can synthesize her background in dance, massage therapy, and myofascial release for truly crave-able classes. If you don’t know that Maggie spent much of her formative years in a dance studio when you first meet her, it is immediately apparent when she moves. Her background in dance and her career as a massage therapist are integral to Remedy’s innovative combination of barre and foam rolling. Emma thinks movement should help you connect to the inner power and joy of being in your body. Carrying a little baggage after being told she did not have the right “body type” to take dance classes at her performing arts high school, Emma came to yoga because it was one of the only “Phys. Ed” classes that did not intimidate her. To her surprise, movement, meditation, and asana replaced typical teenage vulnerabilities with feelings of strength and self-worth. Yoga soon gave Emma the tools to approach and revisit different schools of movement with joy and confidence rather than judgment and shame. In 2014, after a decade of regular practice, Emma completed her 200-hour teacher training at Laughing Lotus in San Francisco. 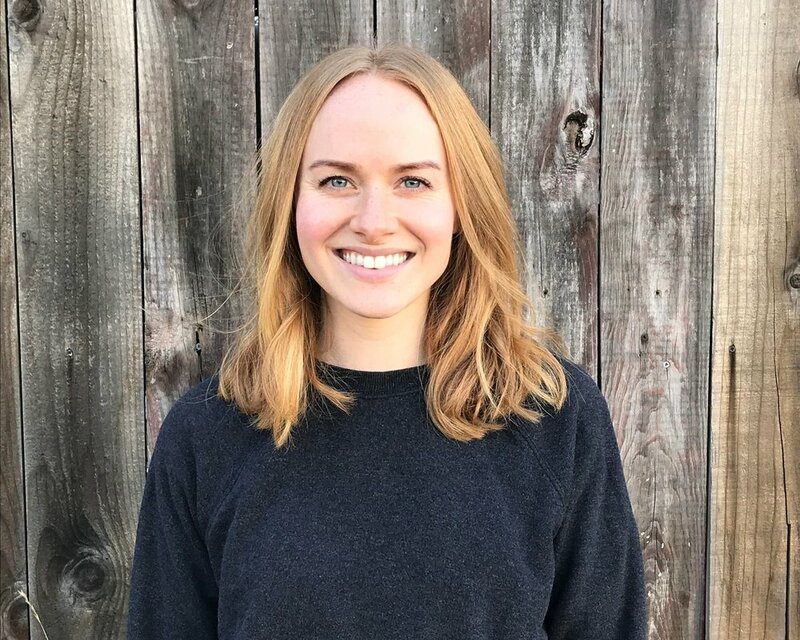 Emma is deeply invested in creating a safe space for all bodies and has studied trauma-informed yoga, which has hugely influenced all of her class offerings. Expect Emma’s classes to be high energy, light-hearted, filled with accessible challenges, and infused with dynamic movement. Her goal is for you to leave every class sweaty, smiley, and safe. Off the mat, Emma is a pizza enthusiast, a dog lover, and a graduate school student studying somatic psychology. Grace is our Earth Mama. As a world traveler whose interests lie in environmental sustainability, organic gardening, globally-inspired cooking and teaching community yoga, she brings a sense of peaceful meditation into her instruction style. Grace's Roll classes are supportive, nurturing, and akin to restorative yoga. Jackie's class is like a barre dance party. She likes to move big to the beat. Her positive energy immerses us and captivates the room along with her eclectic choice of music, which can range anywhere from Phil Collins to Pitbull! In her personal life, Jackie is an animal activist and shelter volunteer. When she isn't valuing her body through movement and tension release, she is at home with her own cat and dog fur babies and most likely an animal she is lovingly fostering. Hayley is a friendly goddess of yoga, bodywork and mother earth. Her passion for life and overall enthusiasm is permeable and infectious. Her class is anatomically technical and encourages its participants to feel their deeper bodies within. When Hayley isn't working her private massage therapy practice in Remedy's loft or teaching yoga and barre in Oakland, she is spending half the week in Grass Valley with her partner. She is open minded, tolerant and always makes time for interesting conversations. Tammy holds a deep appreciation for learning, laughing and keeping it cool. Although she is a student of all things interesting, her studies focus on the workings of the human body. As founder of Capoeira Brasil East Bay and The Nourished Belly Nutrition Coaching, her harmony with the body is obvious when she teaches. Her class flow is natural, approachable and provides a practical essence of ease. Nati is our Israeli diva. She loves açaí bowls, oat lattes, and helping women break every glass ceiling. When she's not teaching, she writes and consults for local female-owned businesses and supports mission-oriented projects. She loves connecting with people and helping them get stronger and feel empowered to do whatever they want. Come to her class expecting a warm welcome, hands-on adjustments, and some crazy hair. Jasmine is a former competitive hip-hop and bhangra dancer and has a life-long passion for movement, fitness and dance. It wasn't until 2015--when she quit her SF law firm job and moved to Las Vegas--that she became a full-fledged fitness instructor. Wait, what? …. Long story short: Jasmine, the lawyer, became Jasmine, the cycling instructor. And now, she's living in the Easy Bay being both (and hopefully more!). Jasmine teaches cycling at Ride Oakland, sporadically teaches bhangra/hip-hop dance classes, loves teaching Barre at her neighborhood studio, Remedy, and is a lawyer for Pinterest. She loves bringing bhangra (North Indian folk art) music and movement into her classes. Her teaching mantra is to help people find and optimize their potential, make connections between their mental and physical strength, and create/find community. Taryn is a total boss. Her/Their class is an all-inclusive experience. She/They work/s hard on providing a challenging experience that speaks to all levels and modifications. Things we love about her/their class include her/their casual attitude of inclusion, dry and witty sense of humor and her/their indie inspired, womxn-centric playlist choices. Taryn’s background in education and dance is apparent in their concise, detailed instruction, which helps take the load off your brain while your body is working HARD in this super challenging class. As an ex-ballet dancer, Lyz discovered the power of workouts that combine strength and mobility in her mid-20's after developing painful bursitis in her hips. Lyz's classes encourage you to use exactly the amount of effort required to bring your body to its natural edge while avoiding overwork. She believes breath-movement connection and loves supporting people on movement journeys that last years. Her classes are known for creativity and sense of humor - you'll be forgiven if your pulses miss a beat. Outside the barre studio, Lyz guides Strala yoga classes in Oakland, walks Lake Merritt with her dog, Jack London, and works to be a strong and thoughtful member of the Resistance. Shanti Jourdan began her yoga journey at age 10 as a form of conditioning for her ballet and modern dance training. Western dance studies ended at 13 but yoga has been a continual source of healing and transformation ever since that first class. She is a dedicated yoga instructor with over a decade of teaching experience and is thrilled to now be teaching barre as well. Attending barre classes was an integral part of healing chronic hip and back pain for Shanti after years of over-developed hip flexors. This personal experience of healing through core awareness can be felt in Shanti’s classes through cues that increase stability and muscular activation. Her teaching style is warm and playful with emphasis on alignment, breath, and rejuvenation. Shanti is also a professional bellydancer and avid Parks and Recreation watcher. Mimi has been in the wellness field for 25 years. She started as a massage therapist learning anatomy and physiology, and working in a variety of wellness settings. She then went on to receive her masters degree in public health with an emphasis in health education. As a health educator, Mimi worked with community groups to help them participate in chronic disease research studies. Mimi discovered the Ballet Barre when her youngest daughter was a year old. She came out of class one day with tears of joy and appreciation because her body felt so much better when she practiced regularly. She became a devoted student and later a teacher. She continues to study biomechanics, alignment and nutrition, attend teacher trainings and refine her teaching skills. She believes there are always places to learn and grow as a teacher. She has a passion for the Remedy community and loves working with clients that are recovering from injury, chronic illness, pregnancy, childbirth, and and are pre and post-partum. She loves to support clients that are new to group exercise and ballet barre instruction.